The #1 way that will set us all of us up for success to achieve our goals is motivation. Let’s face it, we all are unmotivated at times and just feel like nothing is going right or that things aren’t going as planned, I could go on forever. That is why staying motivated is key. We all need a push in the right direction. That’s why before the clock turns midnight this year I’m going to raise my left leg off the floor to make sure I bring in 2019 on the right foot. The second way to stay motivated for 2019 and totally crush all your goals is by writing down everything that you accomplished in 2018. I’m sure you have all heard the quote, “Those who do not learn history are doomed to repeat it,” well that is why it is so important to write down all of the goals you achieved in 2018 and for all of you who overcame challenges and turned setbacks into comebacks give yourself a pat on the back, give like an air fist pump,throw your hands in the air. You should be excited about everything you accomplished and as for the things you didn’t… think about why you didn’t, was it no longer relevant and didn’t need to be completed, did you have too many goals for 2018? 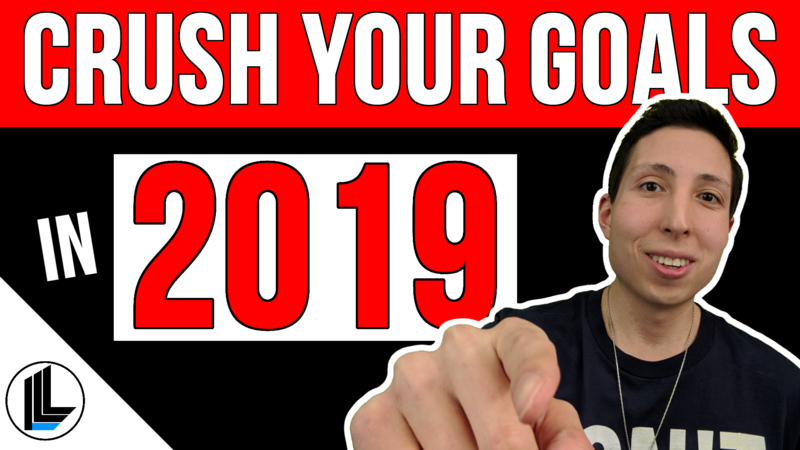 Going over your 2018 goals will help you plan for the 2019 new year. By putting your goals in writing, you make them that much more, you make them, you make them real and will actually want to achieve them. #3. Deadlines. Make yourself some deadlines for 2019. Just like you need to meet the deadlines for a homework assignment or a big project at work. You need to set yourself deadlines. Realistic deadlines of when something should be accomplished. Watch the LIVE YouTube video below and make sure to subscribe and hit the notification bell to watch Jim LIVE on YouTube every Sunday night at 8pm Eastern.